Come and Enjoy A Sipping Experience! behind this program, and what it means to our community. Our celebration this year will take place at Steadfast Networks where we will conduct an extraordinary whiskey tasting event. 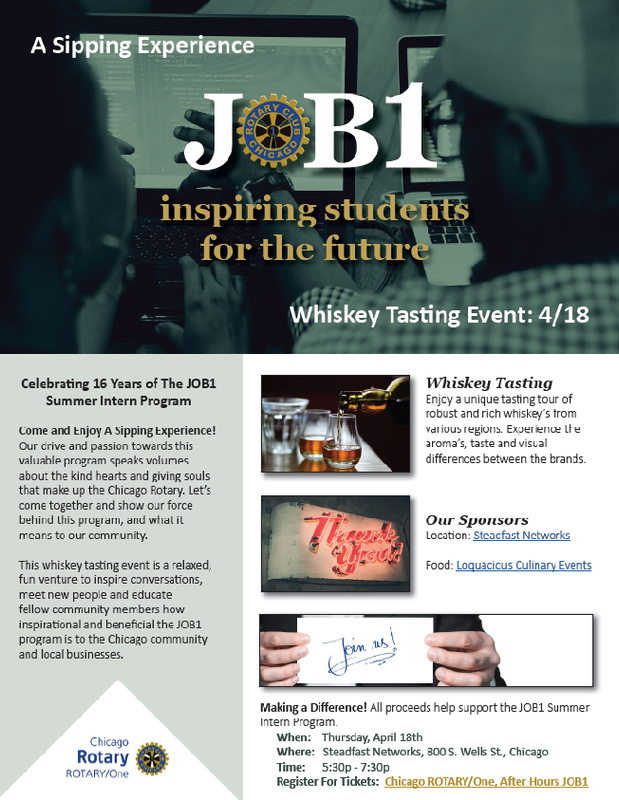 A nice relaxed, fun venture to inspire conversations, meet new people and show our guests how inspirational and beneficial the JOB1 program is to the Chicago community and local businesses. We would like to thank our sponsors for helping make this event a memorable one! All proceeds support the JOB1 Summer Intern Program. Helping our young men and women strengthen their chances in the workforce creates a stronger and healthier community.